Introduce to you this amazing Music Minister who goes by the name Gloray. 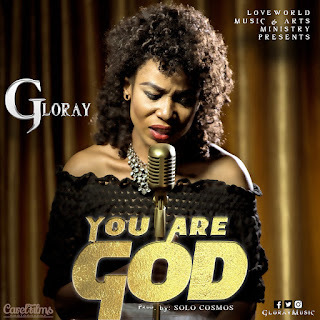 She released this debut single titled 'You Are God', a song of worship and adoration to our King. Am sure this song will leave you with a note of thanksgiving for a very awesome year 2017. Give thanks unto the Lord, for He is Good and his mercies endures forever! Irrespective of how far you've strolled from God, you can RUN BACK! There is room at the Cross for you! Am sure you'd have this song on repeat for a long time. Enjoy and be blessed!